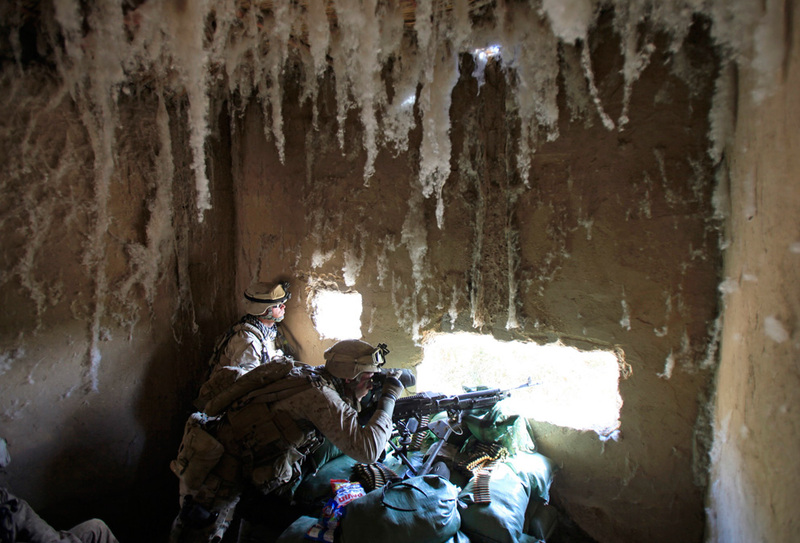 U.S. Marines from Bravo Company of the 1st Battalion, 6th Marines look for a Taliban sniper from inside a cotton workshop in Marjah, Helmand province, February 19, 2010. – The captain of Hr.Ms. Tromp, a Dutch frigate conducting anti-piracy operations in the Gulf of Aden, has a Twitter account. Recent highlight: “approaching a suspiciously behaving Dhow, turned out they were all (!) asleep” (via Information Dissemination). – The recent Chilean earthquake has permanently affected the length of a day. Sure, only by 1.26 microseconds, but even so. – American manufacturing is not dead after all. But the statistics everyone quotes do refer to a loss in the manufacturing industry: a loss of manufacturing employment. Hale Stewart breaks down the numbers. – Everyone knows that cities (particularly the slum-riddles megacities of the developing world) are the future. But that might actually turn out to be a good thing. – The Army Air Force again? The Air Force is having a bit of an identity crisis – and some are questioning its existence as an independent branch (via Neptunus Lex).